Palestinian militants in the Gaza Strip fired two rockets toward Tel Aviv late Thursday, the Israeli military said, marking a significant escalation that raised the likelihood of a harsh Israeli reprisal. The rocket barrage triggered air raid sirens across the city, which is Israel’s densely populated commercial and cultural capital. No damage or injuries were reported. But it marked the first time that Tel Aviv, some 80 kilometres north of Gaza, has been targeted by rocket fire since a 2014 war with Gaza militants. Israeli Prime Minister Benjamin Netanyahu rushed to the military headquarters in Tel Aviv and was conferring with senior army officials about a response. In Gaza, there was no immediate claim of responsibility. Brig. 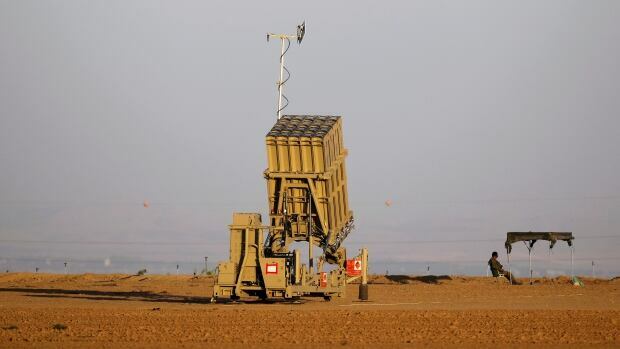 Gen. Ronen Manelis, the Israeli army’s chief spokesperson, said officials had no prior warning of the attack and were trying to determine who fired the rockets. Israel holds Gaza’s Hamas rulers responsible for all fire out of the territory. Tel Aviv Mayor Ron Huldai said he had ordered the city to open public air-raid shelters as a protective measure. But he said there were no special instructions and encouraged residents to stick to their daily routines. Gaza is controlled by Hamas, an Islamic militant group that seeks Israel’s destruction. Israel and Hamas have fought three wars since Hamas sized control of Gaza in 2007. Hamas possesses a big arsenal of rockets and missiles, but it has sought to contain violence with Israel since the last war in 2014. Hamas denied responsibility for the attack on Tel Aviv, saying the rockets were launched when the group’s military wing was meeting with Egyptian mediators to try to strengthen a ceasefire between Gaza militants and Israel. In an unusual step that indicated Hamas was attempting to prevent further escalation, the Hamas interior ministry said the rocket fire went “against the national consensus” and promised to take action against the perpetrators. In addition to Hamas, Gaza is home to other militant groups. They include Salafists inspired by ISIS, as well as Islamic Jihad, an Iranian-backed armed organization that also possesses a formidable rocket arsenal. The Islamic Jihad also denied involvement in Thursday’s attack. Earlier this week, Netanyahu issued a warning to Hamas, rejecting suggestions that Israel would be reluctant to take tough action in Gaza ahead of national elections next month.